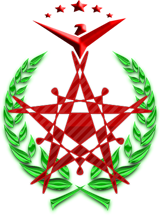 We are Radiant Incorporated, a Wing dedicated to the service of Princess Aisling Duval and her Agendas in Powerplay and the Empire at large. We have no restrictions for members willing to join. In addition to supporting Aisling Duval in Powerplay, we will offer opportunities for Roleplay and Progression within the Wing itself. We welcome all Aisling Duval Supporters, veteran or players just starting out, with open arms. This includes Alliances and Treaties with other like-minded friendly Factions. If you feel that Rad Inc. may be the group for you, please send a PM on Inara or Xbox Live to Galadrial and he will endeavour to respond as quickly as he can.